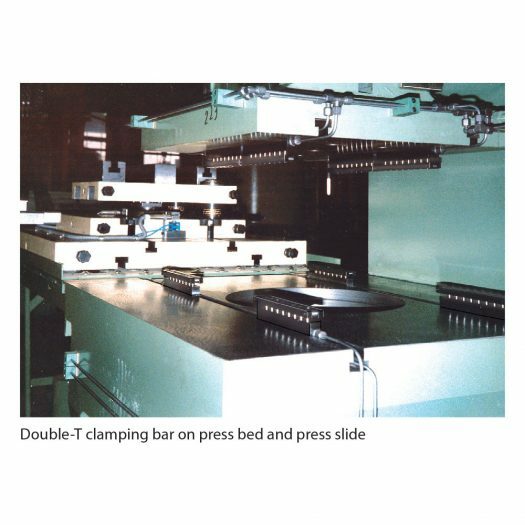 Single-acting with spring return, without support rollers: The double-T clamping bar is installed by inserting it into the T-slots of the press slide or the press bed in any desired position. The bar is manually secured in position using locking screws in the base of the T-slot. The double-T design requires T-slots in the die. The clamping force is generated by applying hydraulic pressure to the pistons, and unclamping is carried out mechanically by spring return. Double-Acting without Support Rollers: Generally used in press ram but also suitable for use in press bed. 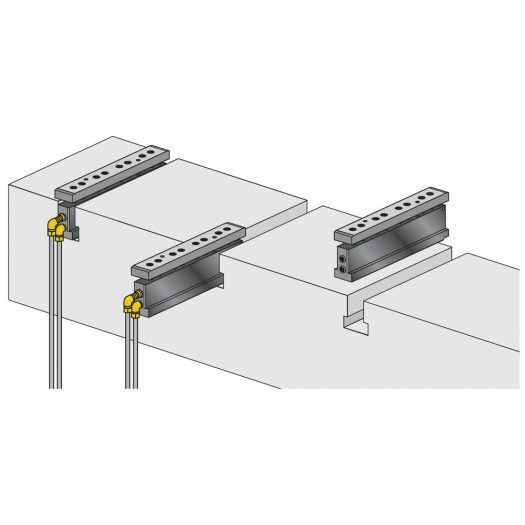 Installation of the double-T clamping bar and generation of the clamping force are as described above, but with one additional clamping circuit for unclamping. 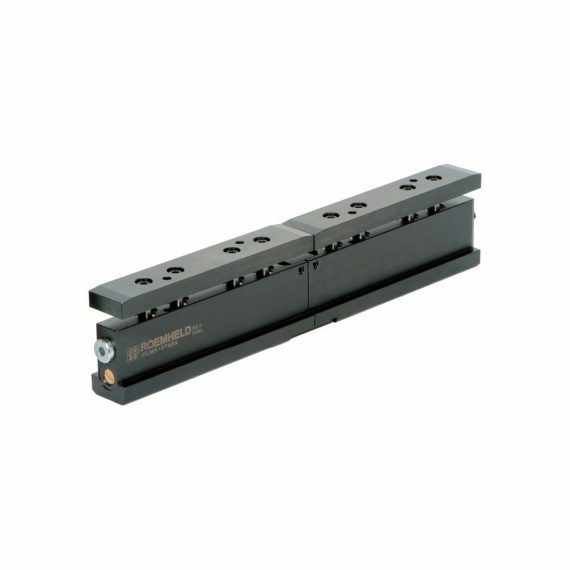 The bar is automatically secured in position using locking pistons in the base of the T-slot. Double-Acting with Support Rollers for Lifting and Clamping: Installation pf the Double-T Clamping Bar and generation of the clamping force are as described above, but with additional support rollers. A double-acting piston causes the support rollers to lift the die and to be clamped by a second clamping circuit. Before clamping the die is placed on the support rollers, i.e. it is not in contact with the press bed and can easily be moved in a linear direction and be positioned. Lifting, moving, positioning and clamping uses only one element.